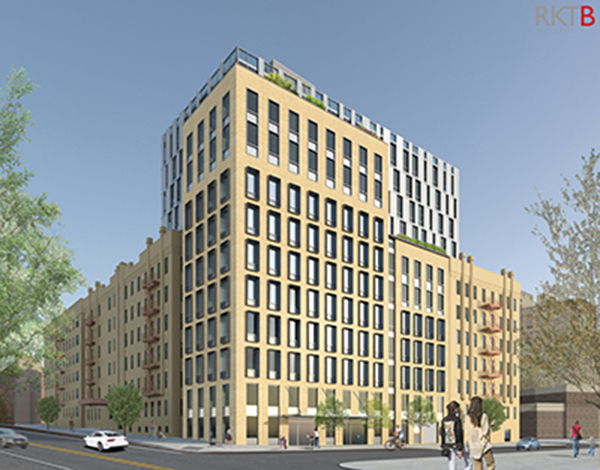 Brooklyn, NY JRM Construction Management (JRM) has been commissioned to construct One Sullivan St., a 12-story, 60,000 s/f residential building slated for completion in 2019. The architect is RKTB Architects. Located along Prospect Park, the building will be suspended by two 25-ft. cantilevers over existing six-story adjacent buildings and will comprise of 48 units and feature a cellar space. The complex development will offer apartment units that range in size from studio to one, two, and three bedrooms that are complemented by full on-site amenities and underground parking, providing the modernity and convenience today’s residents demand. The core and shell division at JRM is built on over a decade of specialized interior work and committed focus on the construction of base buildings for property developers. For JRM, One Sullivan St. aligns with its extensive portfolio of stylish custom projects as it is being built as a steel and plank structure with brick facade and largely appointed punched windows.